Are you looking for a new drink promotional idea for your brand? Well, it’s time to roll out one of the best marketing ideas for the drink industry. 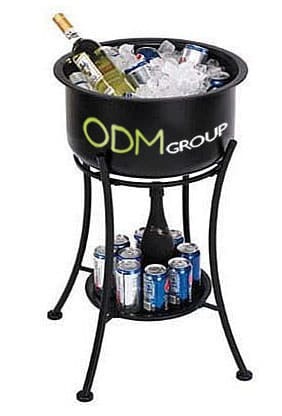 In our quest to find new promotional gimmicks, our trusted product designers unanimously agree that beverage stands are one of the most effective ideas in the marketing circle. This idea has been proven to be effective by the big brands. If you’re not entirely convinced yet, I would need you to do a little something for me. Imagine yourself under the scorching heat of the sun for a big event. You have been standing for the last 2 hours hoping to see more of the action. Unfortunately, the heat just gets you and you would pay just to feel a little cooler. Then, as an eagle-eyed person yourself, you spotted a beverage stand that holds free, yes totally free, ice-cold beverages. What will you feel towards it? Well, of course, you will be grateful to the brand! And, this leaves a good impression on your brand. You replenish someone’s thirst whilst effectively promoting the brand. It’s a win-win for both parties! A regular beverage stand now becomes an effective custom outdoor display. What Is A Beverage Stand? – As the name suggests, it is a “stand for your drinks”. Basically, it holds and secures your drinks during a party, event, concerts, or even for trade show marketing. They come in different designs and sizes. In the image above, this kind of beverage stand 2-levels worth of space. In some versions, you can simply place it on top of the table or high chair. Actually, it all depends on what kind of event would you like to use the stand. Best Time To Use? – This kind of promotional style is best to use during crowded activities and events. The more crowd, the better. Kam-packed events mean that more people will see your brand. Is This Customisable? – Pretty much! Our product designers are always ready to assist you with the design0mkaing, planning, etc. But, if you have your own design, feel free to show it to us. Just be sure that your chosen design highlights your brand/logo becuase we are primarily doing this to boost the brand’s marketing campaign. What Kind Of Material Should We Use? – Again, it depends on your design and marketing budget. We can either use wood, metal, glass, plastic, etc. For as long as we create something that is well-designed that creates a positive impression on the brand. 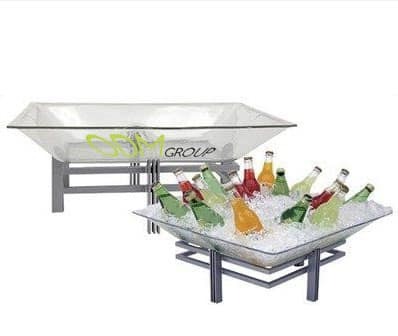 Because these beverage stands are intended to grab the customer’s attention during events or even inside the store. Mainly, it acts as a promotional display. In conclusion, if you are a brand that is looking for something that is eye-catching, please do consider the beverage stand as your next drink promotional idea. If it’s well – executed, your brand will have a cool looking POS display that adds great value to your marketing campaign. If you want to know more, please feel free to contact us anytime. We are always available to answer all your marketing and manufacturing queries.